Whenever, there are unsightly concrete and other structural supports, GA’s alloy column casings can provide an excellent decorative and protective solution. Our modern 5 Star Processing Service accurately and rapidly fabricates Aluminium Column Casings to meet your precise specification. 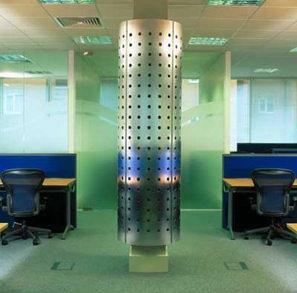 For your casings choose from our diverse range of aluminium perforated and plain sheets that can be supplied in anodised, mill, satin brush or powder coated finishes. Our website ‘Build a Spec’ resource, assists by guiding you through the specification process. Getting quotes for our Column Casings is so easy! To begin the selection process, please select one of the images shown below, and then follow the 'Build a Spec'/ 'Get Free Samples' guidelines. Getting quotes for our products is so easy! To begin the selection process, please pick one of the images shown below, and then follow the 'Build a Spec'/ 'Get Free Samples' guidelines. 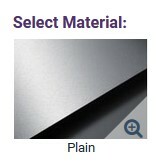 For more information about aluminium products, visit our main site at www.goodingalum.com. Gooding Aluminium are a national and international supplier of a wide range of high quality aluminium sheets, aluminium profiles and 'made to order' aluminium products with 'invisible' fixing solutions.